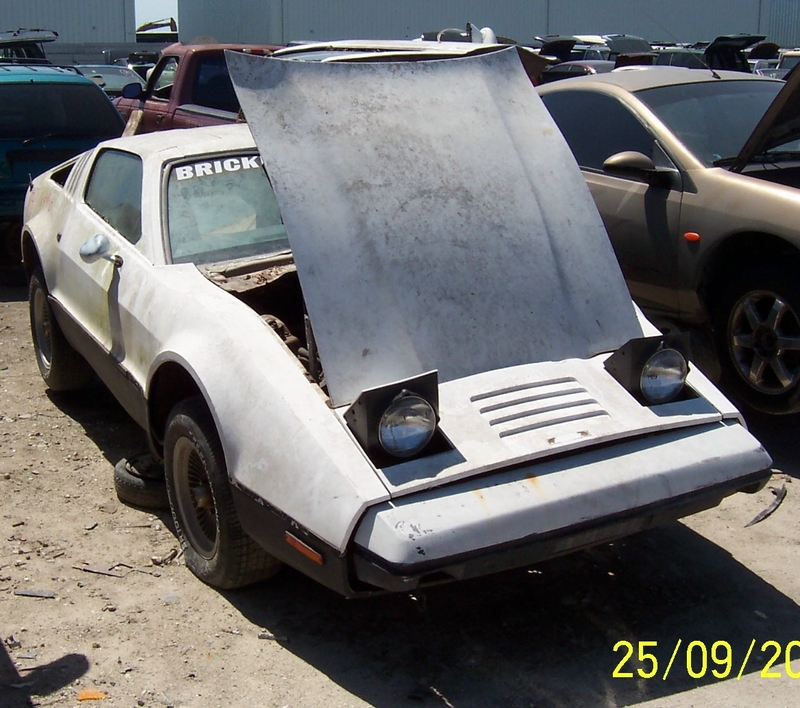 Don't let this happen to your Bricklin / Can you believe it ? 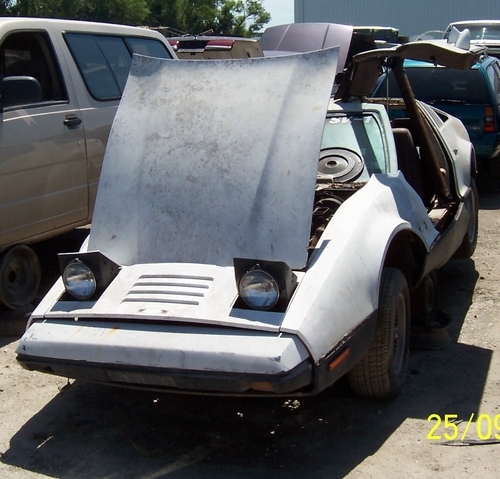 This page is NOT intended for most Bricklin Owners or enthusiasts. This page is intended for that person who has come across a Bricklin, through perhaps inheritance, found one abandoned somewhere, or by some other means - there are many possibilities. Figuratively speaking, Don't throw away a diamond or gem. If you have gotten to this page and are reading this, at least you are doing you homework, or some research, to find out what you have. 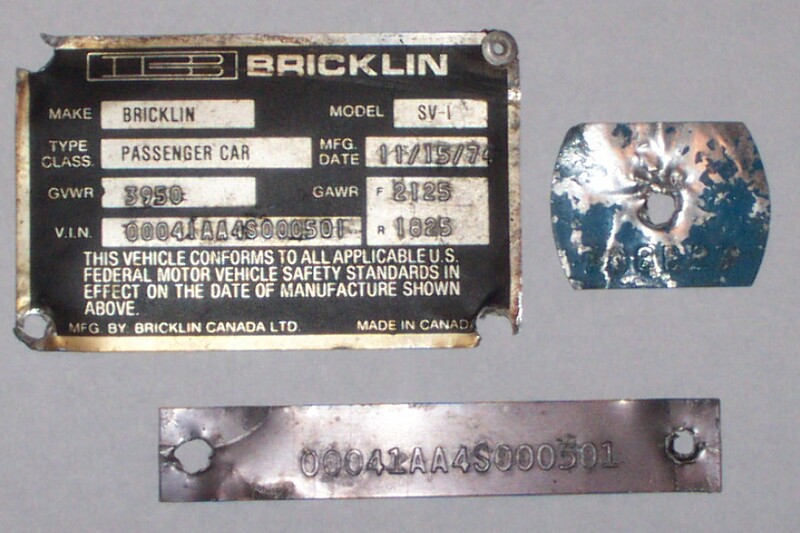 As an analogy, I will use the 1948 Tucker again ( see the Bricklin and Tucker Page ). Here is the story, as I recall, of the end of Tucker # 42 ( 1042 ) as told to me decades ago. The time was around 1960. The place was along the banks of the Mississippi River in the State of Tennessee. A motorcyle cycle policeman found Tucker number 42 ( 1042 ) in bad condition, abandoned along the banks of the Mississippi River in Tennessee. 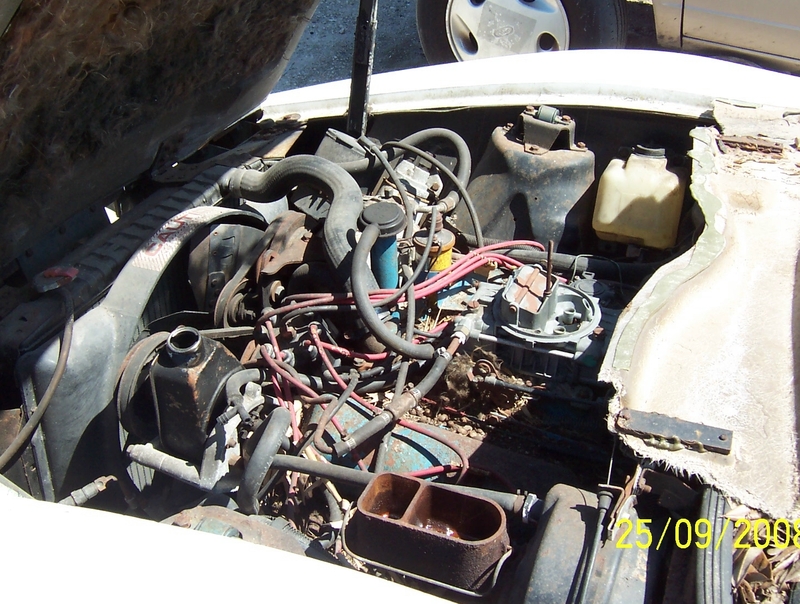 He had Tucker 42 ( 1042 ) towed to a house he was renting at the time. The landlord ( who may have been Tucker Ignorant ) did not like the way the Tucker looked at the house. I think the policeman had intentions of restoring the Tucker. The policeman was in an accident, and in the hospital for 2 - 3 months. When he returned home his Tucker was gone. 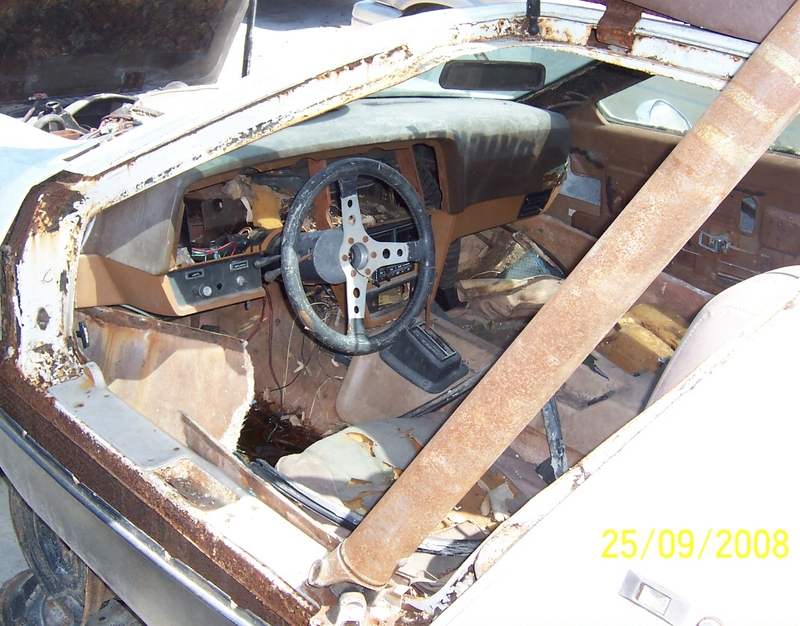 The Tucker was searched for, but no one claimed to know of it's disappearance / whereabouts / what happened. 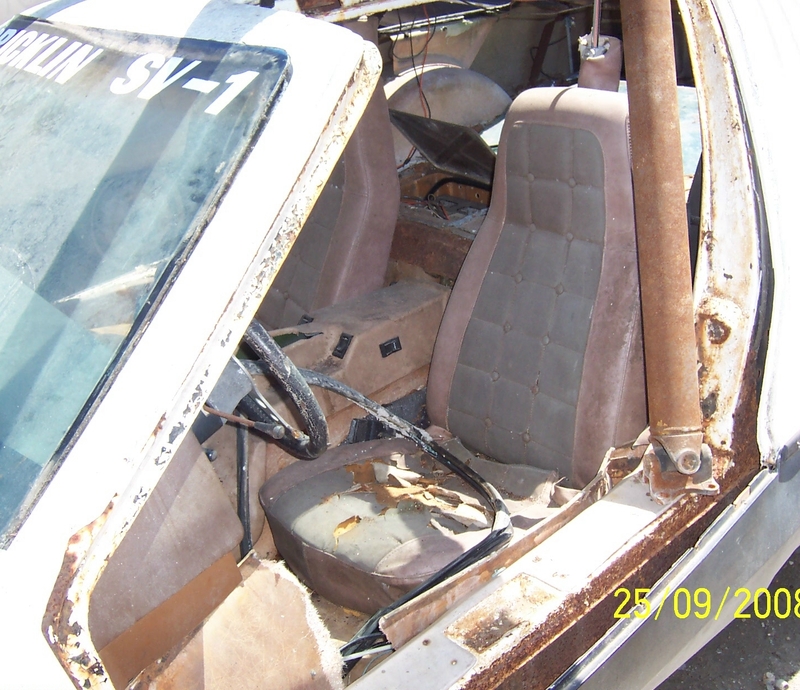 None of the local car scrap yards admitted to putting a Tucker through the crusher or scrapping one. To this day, the disappearance of Tucker number 42 remains a mystery. It still might exist, but probably not. 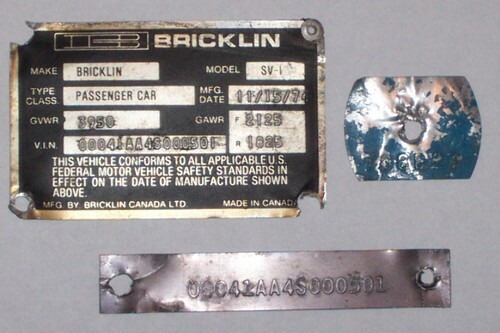 The pictures on this page are of Bricklin number 501. The photos appear to have been taken shortly after the car went into a scrapyard in Florida in 2008. When the photos were taken, the instrument cluster had been removed. 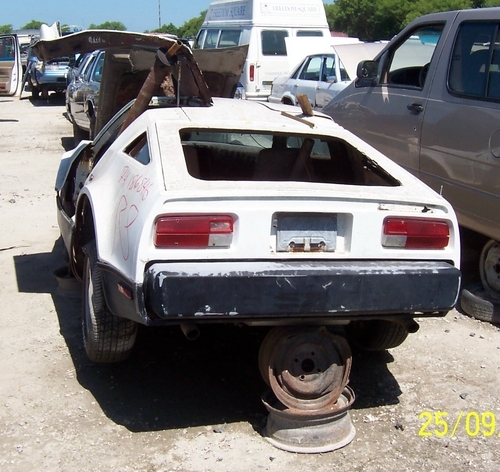 It is incedible ( in a negative sense ) that this car made it into a scrapyard - looks very restorable !!! I have seen Bricklin's in much worse condition: " brought back ". This car somehow " fell through the cracks " - hard to believe !!! 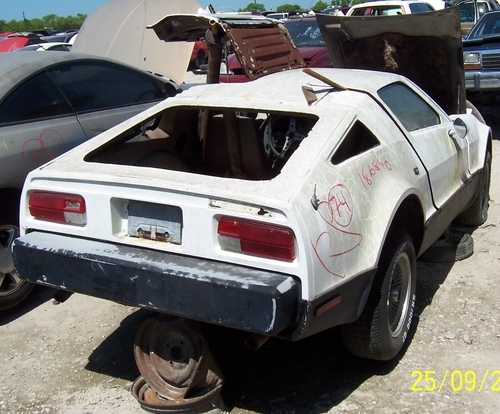 A similar fate befell Bricklin number 476 ( photos on this website ) in late 2006, in California. 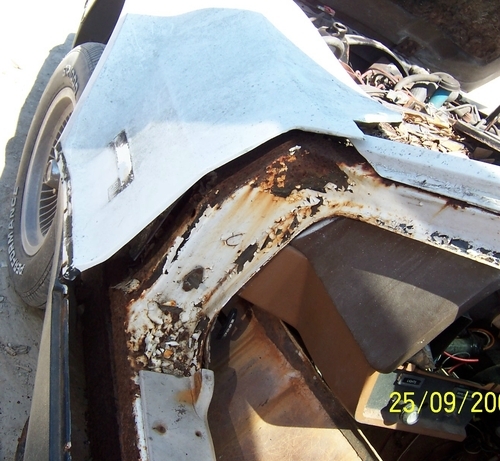 How many of you would like to open a barn door today and find a very restorable Tucker, lift up the front hood, look at the data plate on the the firewall, and see the number: 1042 stamped on it ? With the advent of the internet, and all of the almost instantaneous information sharing that goes on today, it is really hard to believe things like this can happen. - senior editor / webmaster.